Why Does My Dog Act Like a Cat? Chasing lasers, claiming any spot as their own, perching on windowsills, and essentially running the household… all decidedly “cat” behaviors, right? Think again! 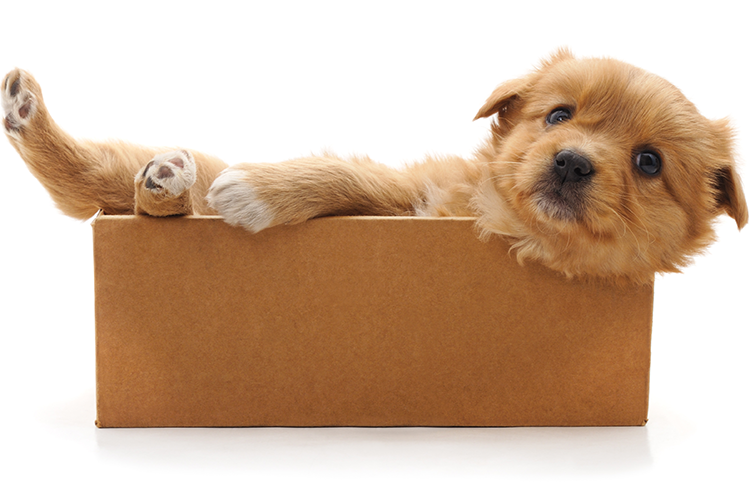 As strange as it might sound, it’s not uncommon for dogs to act like cats. We aren’t talking about the dogs who simply aren’t interested in chasing sticks, we mean dogs who seem to have a serious case of species-confusion. Does your dog spend a surprising amount of time grooming itself? Has he ever casually sauntered across your table or other pieces of off-limits furniture? Has she ever “purred”? Believe it or not, it can happen. You may identify as a “dog person,” but what if your pooch begins acting like a cat? Fear not- you don’t have to completely reassess your own identity because your dog has taken on some distinctively feline traits. There are actually a few reasons this (admittedly, strange) behavior can occur, but the good news is that it’s typically not something to be concerned about. If your dog shares its home with cats, it’s easy to see where the behavior is coming from. It’s not uncommon to hear about dogs who take on the personality of their owners- and vice versa; that adaptability can extend to the other members of the household, including the cats. Why? Dogs are highly social animals who have a pack mentality. They are essentially programmed to acclimate to the behaviors and traits of their pack, and sometimes they will even go so far as to adopt those traits. If your dog respects the cats it lives with, it will likely take on a few of their behaviors to assimilate into their pack. If your dog notices that cat-like behaviors yield positive outcomes in some form or another, they’re more likely to continue pursuing those behaviors. If they notice that the cat (or anyone else in the household, for that matter) tends to get lots of cuddles when it curls up on your lap, don’t be surprised when your pup gives it a try too. It’s true; some dogs are just naturally more cat-like than others. Vizlas, Italian Greyhounds, Poodles, Shiba Inus, Basenjis, Shetland Sheepdogs, Manchester Terriers, Whippets, and Mi-Kis all tend to possess feline behaviors from their grooming habits to their confident, self-assured demeanor. Over to you! Has your dog ever displayed cat-like behaviors? We would love to hear from you on our facebook page!